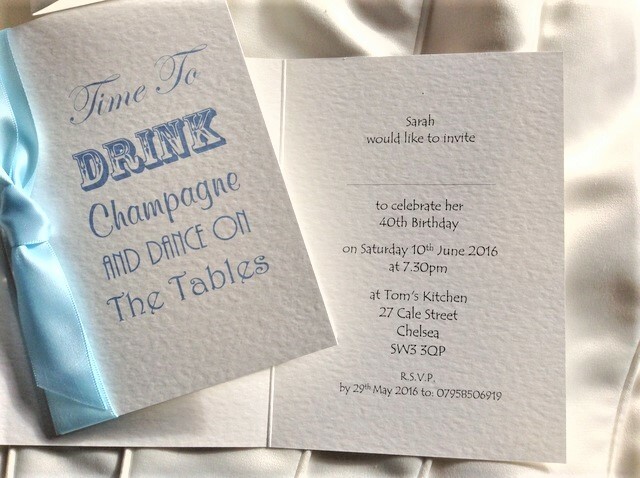 Drink Champagne Folded Party Invitations are printed on a thick top quality heavy weight (270 gsm) hammered card and are available in white or ivory. Text can be ordered in any colour. 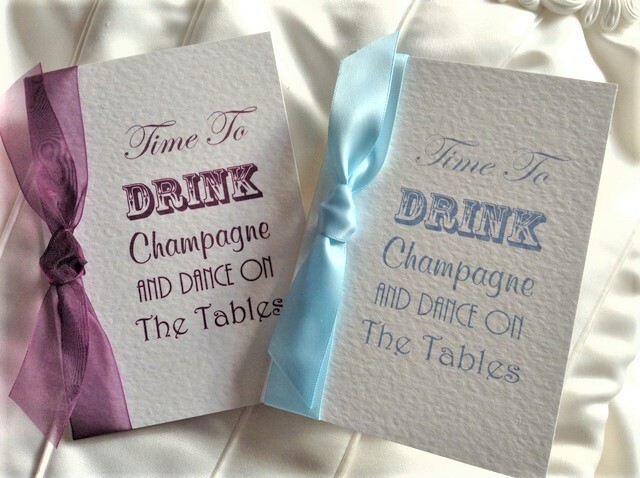 We can personalise the party invitations for any occasion. Our price includes free envelopes and free guest name printing if required. We can print your invitation details in any colour and typeface. 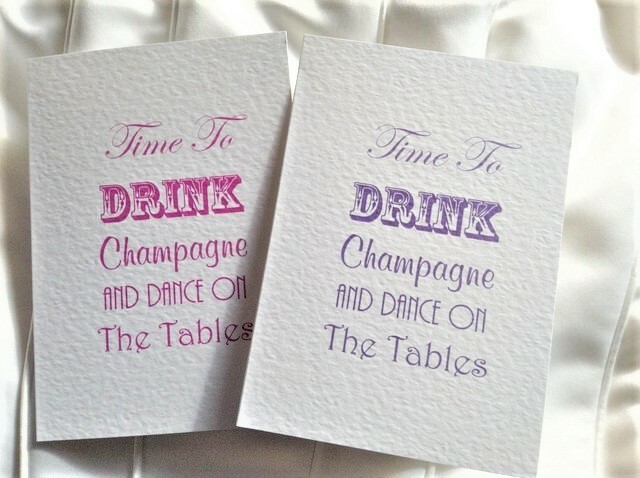 If you prefer Prosecco to Champagne we can supply your invitations as Time To Drink Prosecco and Dance on the Tables. 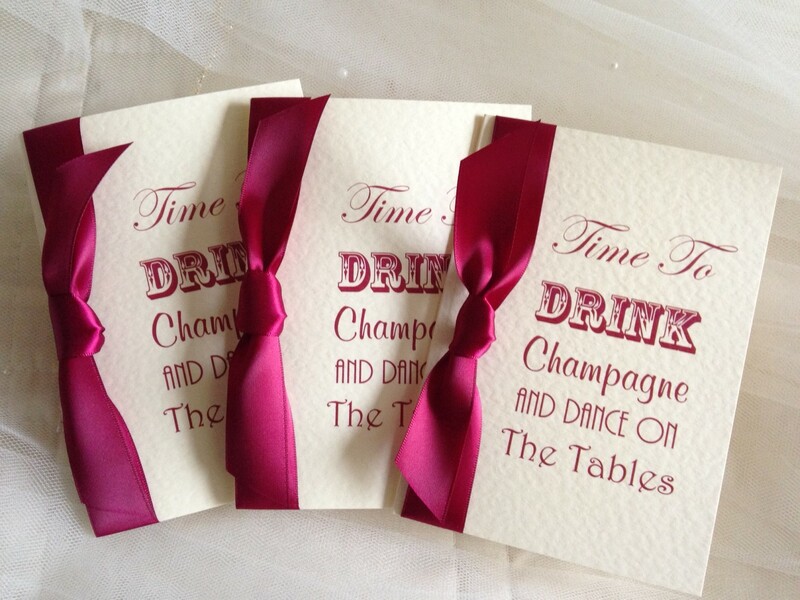 Party invites can be ordered and supplied within a short timescale, usually 3-4 days for quick delivery in the UK. Choose your card colour and typeface.